Uhm…no offense dodo, but you even looked the part! 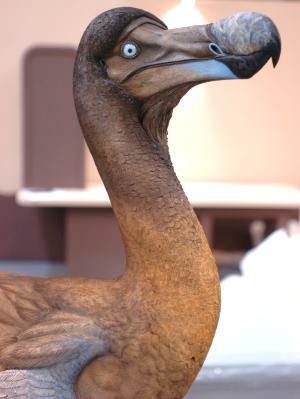 Unfortunately for the species, the dodo remains synonymous for concepts or objects which have become obsolete due to failure to evolve. When I graduated in 1997, the following industries were kings of the the roost. They are now dead or are shadows of their former selves – all in just 15 years. 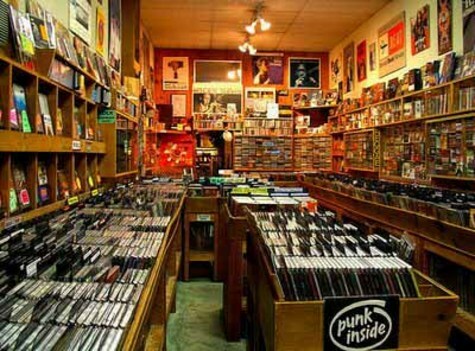 Record Stores – remember shops like Odyssey and Music One? Newspapers – My dad used to get 3 newspapers for the house daily. And that Sunday Manila Bulletin edition was thicker than the Bible. Now? My dad goes online for his news. Manila Bulletin is now as thick as a comic book. Video and Game Rentals – ACA Video anyone? Landlines – I’m not really sure why we got a landline for our house. I think it was because of the bundled package with the internet. It NEVER rings anymore. Point and Shoot Cameras (not SLR’s) – the lining was on the wall when the smartphone camera specs started getting better and better. Then the iPhone 4-S came out and was essentially the straw which broke the camel’s back. Photo Developing Shops – These shops seemed to be in every other commercial block at one point. Now you hardly see one. Encyclopedias – Remember Collier’s, World Book, and Britannica? The PC – Have you seen how cheap laptops now are? It’s also worth noting that the Macs, while still selling well, are now Apple’s lowest-selling machines next to phones and tablets. Brick and Mortar Bookstores – I used to think, “There would always be a need for a book! It’s a different feeling to turn actual pages.” Then I got an iPad and was introduced to ebooks and Amazon online. From buying a book almost every month just 2 years ago, I haven’t bought a physical book ever since. It’s not surprising that we see industries come and go. What is staggering to observe is the rate of human adoption – and therefore, disruption. How much time did it take for books to gain prominence? Hundreds of years. What about newspapers? Landlines? Record shops? Cameras? The PC? Decades. Now? You can change the world (and make something obsolete) in months, or even weeks. Just visit the likes of techcrunch and mashable to find proof. No one’s job is safe. Nowadays, it’s dangerous to become a one-trick pony. (Hello, cobol programmers) You have to be a lifelong learner. Nowadays, you have to become an expert in becoming an expert. You have to do it fast, too. Nowadays, you have to deal with the ambiguity that comes when technology disrupts markets every other week. Flexibility, learning fast, and managing ambiguity? Sounds awfully like what an entrepreneur does. Next PostLaunching the Juan Great Leap Startup Lab! While I do agree that some of these industries, such as newspapers, are suffering a sort of decline, I disagree with the observation for some that are “dead or shadows of their former selves” As a matter of fact, I think cognitive bias might be a major issue when it comes to observations such as these. For instance, while the prices of bandwidth and browsing devices might have been more affordable nowadays, this “migration” from tabloids and broadsheets to online news possibly only applies to the middle- to upper-class people. Those of the masses, those who cannot afford online access or those in the rural areas still rely on the traditional and ubiquitous newspaper. PCs still retain a following, especially among software developers and gamers, for being upgradeable. Budget-conscious and budget-wise individuals would also choose a unit that can be repaired and upgraded as opposed to replaced every few years. I have no doubt, too, that government institutions, especially here in the Philippines, would rather spend thriftily on a cheap PC for basic Internet access and Office programs instead of squandering on an “inexpensive” laptop. I would like to comment on brick-and-mortar bookstores but I am aware of my cognitive tendencies as a book-lover or, as a friend derogatorily called me, dead-tree-lover. Nonetheless, my point still remains, that, granted, a lot of these industries are dead or dying (I remember the telegraph, tee-hee) however, it might be helpful, for an entrepreneur, to observe the conditions outside one’s tech-savvy circle. The way I see it, the problem with a lot of startups is the assumption that everyone is as dependent on the Internet as the founders are. Very good point about always trying to wear the other shoe. For most of us tech entrepreneurs, the tempting bias isn’t just to look at reality with internet-colored glasses, but also looking at it with WESTERN eyes. Tech entrepreneurship has largely been US -powered over the last decade, so a lot of the literature we absorb are form that standpoint. Great reminder that this is always in play. Hmmmm. I think the newspaper decline for me isn’t necessarily an internet thing. Manila Bulletin used to be so thick because of the classified ads. Not anymore. The advertising revenue lost must have been staggering, and it’s not just because of the internet, but also because of innovations like the 2x a week/free ads Buy and Sell newspaper. Just a clarification, I didn’t say the last 3 items belonged to the first category of “dead” and “shadow of themselves” group (haha, perhaps i was too harsh! ), but industries which I THINK will decline over the next few years. Thanks again for chiming in, LA! Hi Luningning! I agree with your point on the bandwidth and the normal Pinoy’s access online. However, the strides in cheap smartphones because of Android and byte-sized prepaid data plans have started gaining inroads such that Pinoys are very much into social networking. Give it time and more Pinoys would be reading newspapers and transacting online. As for the PCs, they may not die off soon due to the content makers (developers and such) because of the processing & memory need, but that may be overtaken by the cloud once bandwidth increases. One can just hook up a client laptop and remotely develop on a cloud server. As for government & other SMEs, there is a theoretical justification to just buy a PC and upgrade within 5 years, but at the rate prices are going down, it’s just better to buy a new PC or wait until the next version is available. In addition, laptops, for a slight difference in price, brings in additional portability and plays into the vanity of desk jockeys… Hehehe!